The shade, or should I say the dots, are called 197. Such a shame that they don't name their polishes. It's basically transparent nail polish with hexagons. The name is a little off, if you ask me, because it doesn't contain dots, but hexagons. The hexagons are about three different sizes from small to bigger. They are black and white. The packaging is a basic glass bottle, with also a very basic brush, which is not thin nor wide. It costs 2,49 € and you get 7 ml of nail polish. I think the price is perfect and I have already mentioned before, that I really like the long lasting power of Maybelline nail polishes. I really like this as a top coat to get that extra of nail manicures. I think any manicure with this nail polish as a top coat instantly looks like you've tried very hard. I also like that it is transparent so you can use it on top of every nail polish color. The only problem I seem to have is choosing the right shade to still show black and white hexagons. If you go too light, the white hexagons are not seen enough, if you go to dark, the black hexagons get lost :). I know, I am complicating this way too much :)). Oh, and it is also a bit harder to get full amount of every single size and color of hexagons. Sometimes you get most of the whites, then on the other hand, you have more blacks... I think I made it clear - it's a hard choice for very perfectionist people :). This is really cute! 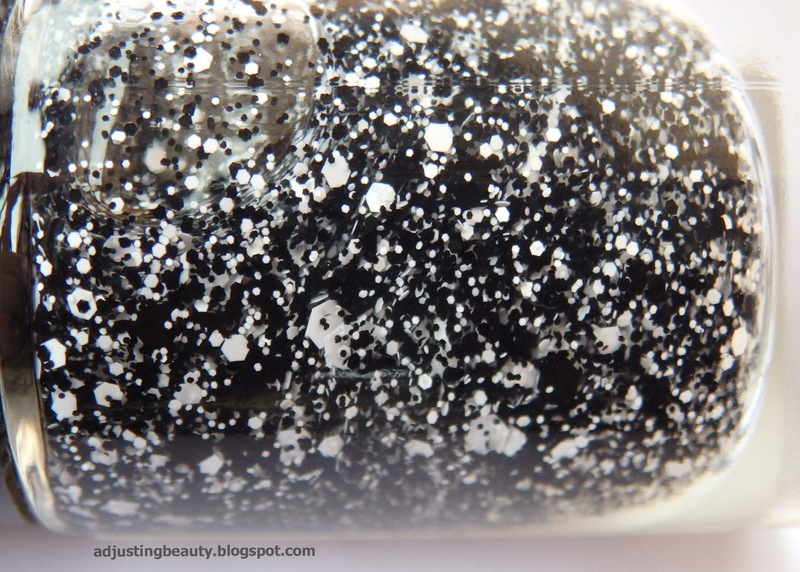 I actually thought about picking this polish up,but wasn't sure how concentrated it would be! It looks good though-thanks for the share! You are beautiful! 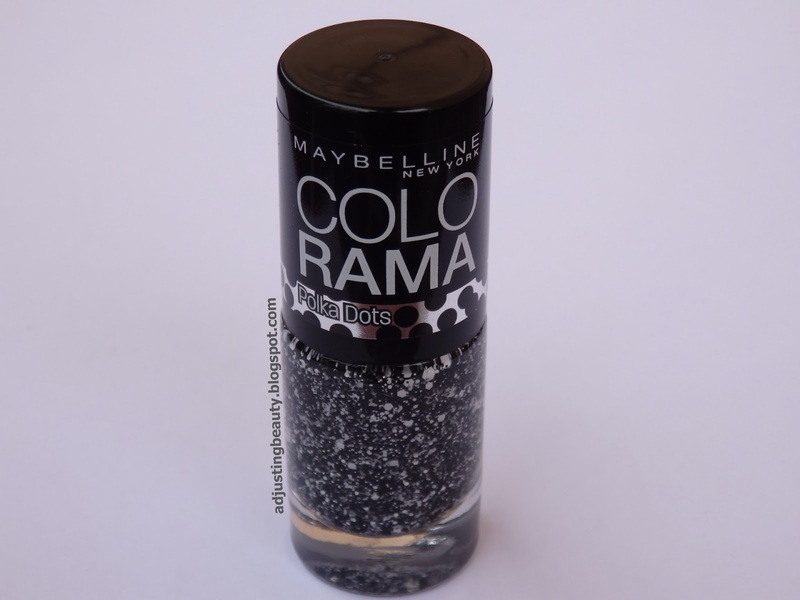 And I love the maybelline black and white dotted nail varnish!